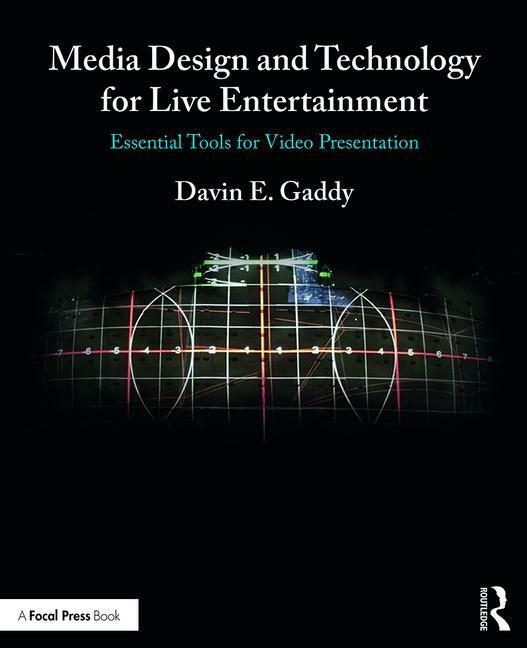 We caught up with Davin Gaddy to discuss his new edited volume, Media Design and Technology for Live Entertainment. Read on for our exclusive interview to find out what inspired Davin to write the book! 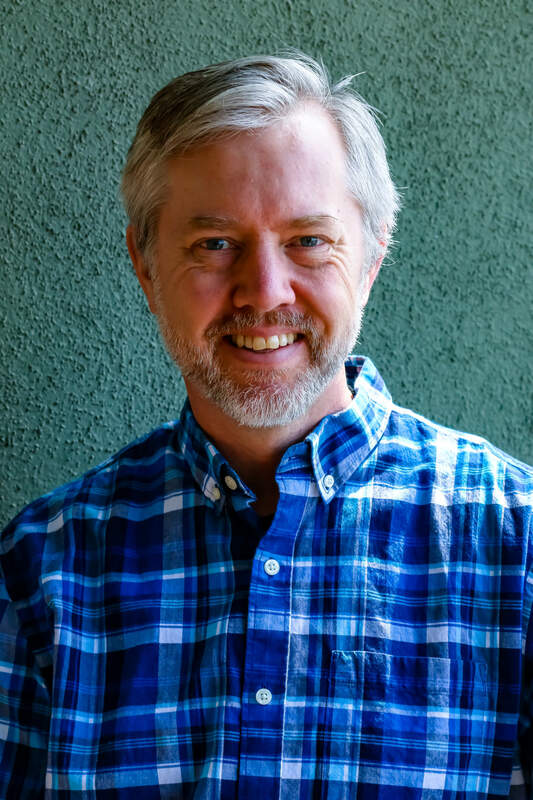 Davin Gaddy has been working professionally in live entertainment, convention and trade show, themed exhibit, and cinema markets for over 25 years, not including his prior student work. During this time, he has spanned the gamut of the industry, learning a variety of production styles. Due to his experience, Gaddy was the perfect fit to be the lead projectionist for Cirque du Soleil’s production of KÀ, which has stunned millions of audience members over the course of its run. Congratulations on the publication of your book, Media Design and Technology for Live Entertainment, what do you want your audience to take away from the book? I had a few goals when I chose to write this book. I had been giving presentations for a few years with the most frequently asked question being, "where can I learn more?" I searched for books to recommend, including contacting faculty at universities that I knew taught projection design, and failed to find a recommendation. The majority of the time that I was asked to speak, it was to groups who wanted to know where to start. Knowing that every situation would be different, I hoped to let the reader know what the parts of a media design were, so that they could have a starting point. After helping many groups get started, I also wanted to provide information that would give producers and directors the information required to have a meaningful dialogue with the media designer. To do so, I generalize how different technologies might add to the cost of a production as well as the reality of design ideas. What are the main developments in research that you’re seeing in your subject area of expertise? Digital media is a rapidly expanding field, full of constant change. That being said, there are two main areas that should be watched. The first is how content is being displayed, from resolution and color to the technology creating the image. The laser light engine is greatly expanding the quality of the image. It allows for a greater amount of colors to be created, has a better contrast ratio, and can expand the life of the projector (due to lower power consumption and running cooler internally). Secondly, computing power is ever increasing which has allowed for processing amazing visuals. The better processing of the image has allowed for High Dynamic Range in the color palette and the ability of increased control over many layers of video. How does your book relate to these recent developments? Midway through the text, I approach both the technology behind displays and to the computing control of the image. I not only speak about the illumination source, but also the means by which the projector creates the image, allowing the reader to learn how to choose the right technology based on their budget and the benefits of each type of technology. Immediately after discussing various display technologies, I speak of the vast chooses that the reader may employ for the images being sent to the display. In doing so, I compare the methods which are commonly available and the means that computers are able to manipulate the content. What audience did you have in mind whilst writing you book? I wrote this book for everyone who has seen video projection and wanted to do it themselves, but had no idea where to start. I also wanted to help those already in the business to understand how to produce a better image. This means that producers can read this book to get an understanding of how digital media can fit within a production and to have a basic understanding on how it will affect their budget. A director who will have video in their production can learn about the options that are available to use to create video in different ways and the time it may add to the production schedule. Young designers may not know all of the technology available, nor how it all fits together. While it would be impossible to create a formula that would offer a solution to every design, this text should open their eyes to the tools available to them and allow them to create the extraordinary. Working in Las Vegas, which some claim to be the "Entertainment Capital of the World", has its advantages. When I needed clarification on some piece of gear or to get hands on with the latest and greatest technology (some still in the works), I did not have to go far since the manufacturers come here to exhibit! That way, I was not just reading product manuals and white papers, but I had the pleasure of letting the experts help me by granting me hands on experience. Often, the individuals who do the product demonstrations are the same experts who use the equipment on world class productions. I wanted to be an archaeologist since I was in grade school. I was most interested in the things people made, in trying to understand why they made those things and how they were used. When I began learning about video, it was that same curiosity that drove me to learn about every component, how it worked and why it was developed. When I started giving workshops on how to use video for live performance, I wanted my attendees to have the same kind of understanding. This is why I took a conversational approach in the writing style of this text. I want the reader to feel that we are in a dialogue where we are creating their design together. They have the vision and I am imparting knowledge to them in order to realize that vision. A favorite quote of mine is by Joannes Stobaeus, a 5th century compiler of classic Greek authors: "What use is knowledge if there is no understanding?" In other words, many textbooks will disseminate a lot of factual information (knowledge), but they tend to fall short in tying it together in a useful manner. Media Design and Technology for Live Entertainment is a guide to understanding the concepts and equipment used in projection and video design for live performances. After an introduction in the principles of design elements as well as information on content, this book focuses on how content is used and transmitted by describing the essential components of systems, providing definitions used in communicating video concepts, and including basic system troubleshooting tips and tricks. .
*Please note this offer cannot be used in conjunction with any other offer or discount and only applies to books purchased directly via our website. Offer ends 1st November 2018.